The Remixs Latin/Dance..... Radio, Deep, Extended,Club........filled with a Heavy Groove and Sabor! "Que Siga La Rumba reaches out to all dancers and fans of Latin Tropical Music........... it is not just a Salsa world "
Mixed by 3D Ritmo de Vida and George Mena (Luis Enrique, Jellybean Benitez etc...), 3D adds a Swinging dimension to it's music.The voices of Herman Olivera and Chris Hierro are featured on this track( Eddie Palmieri, Spanish Harlem Orchestra, Alejandro Sanz, Taxi Amarillo). A Groove that will Move!!! Wow! 3D has truly developed a fresh approach to world music! I love that this is not your typical "Latin" music. They do it all. This is a VERY talented group of musicians writing, producing, recording, and sharing some great music with the world. Rock on boys!!! 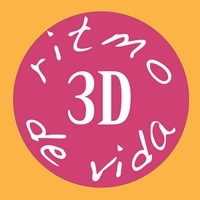 3D Ritmo's latest single, "Que Siga La Rumba", is nothing less than wonderful. It has the unique blend of Latin and Pop written all over it. When I first heard this song, all I could do was smile. Michael Tate has this uncanny ability to make you tap your feet and want to just get up and dance. Right from the very first downbeat, the beat of the drums and the rhythms of the percussion and horns set it off. You immediately start to tap your feet and a smile comes across your face. This band is truly one of the best. If you ever get the chance to see them live... DO IT! You will not be disappointed. Real Latin Dance music for the 21st century. Thanks 3D, keep it coming! I love the original version of this song but this remix is unbelievable!!! Definitely worth buying. Wow, 3D just keeps hittin' us with great music. Love it !! !